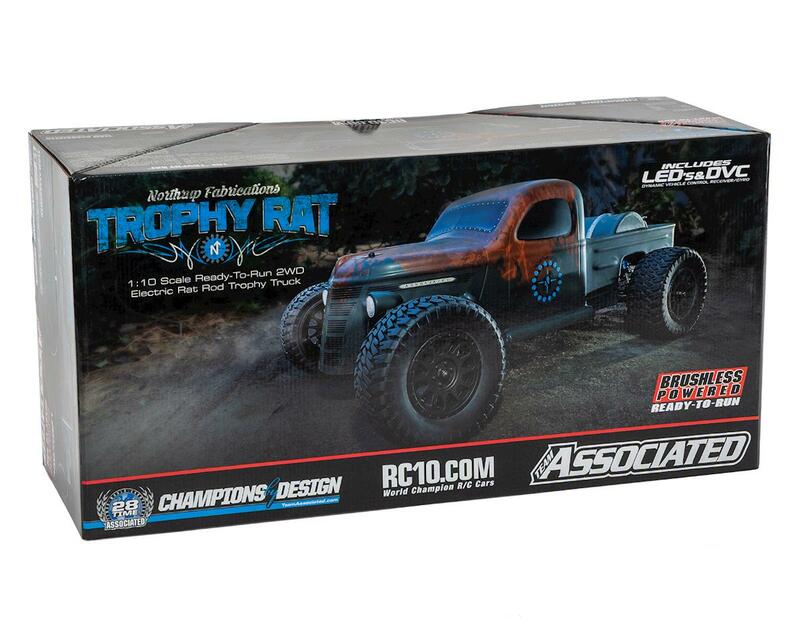 The Team Associated Trophy Rat is a 1/10 scale recreation of the full size Trophy Rat! Starting life as a 1937 International shell, the 1:1 Trophy Rat has gone over 1,500 man hours (and counting) from conceptualization to completion. The goal for this build was to accomplish the perfect blend between a trophy truck and a rat rod with an LS6 Corvette engine for a heart. 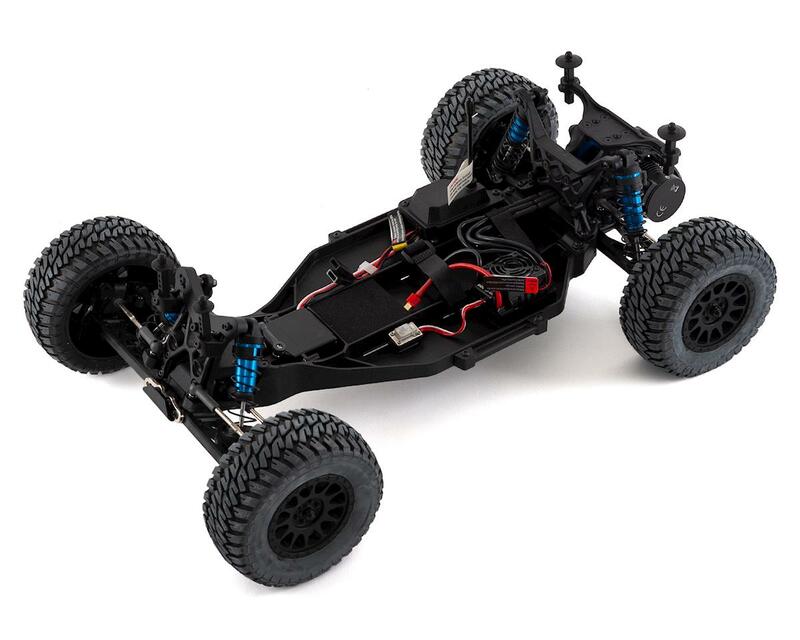 Something that could be used as a daily driver, but also take to the King of Hammers or local road course. 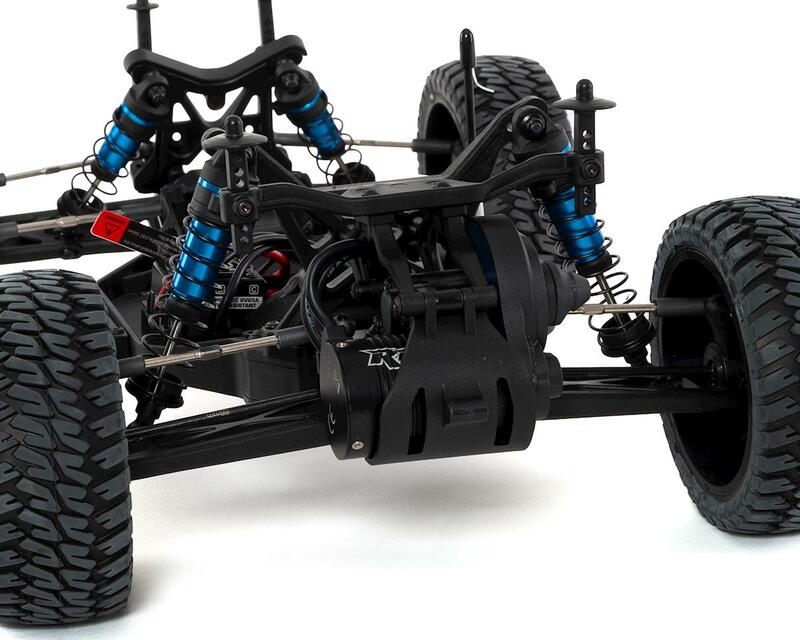 Team Associated's Ready-To-Run replica of Northrup Fabrication's Trophy Rat body is wrapped around the chassis and engineering of the 9-time R.O.A.R. Short Course National Championship-winning truck. The Trophy Rat is both all show and all go! 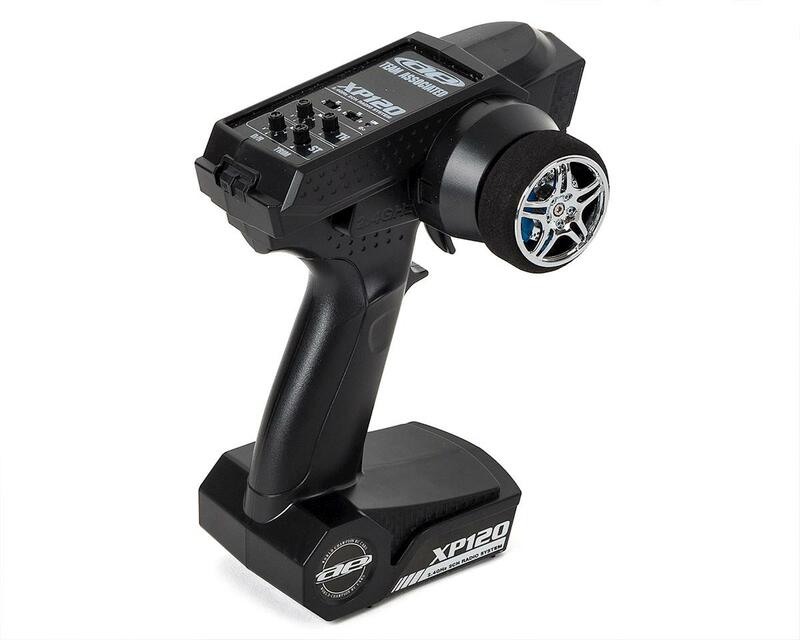 The truck features a water-resistant high-power Reedy brushless speed control and 3300kV brushless motor, a 2.4GHz 2-channel radio system as well as Associated's DVC (Dynamic Vehicle Control) receiver unit with built-in adjustable digital gyro which allows vehicle stability to be adjusted to flow with the terrain. 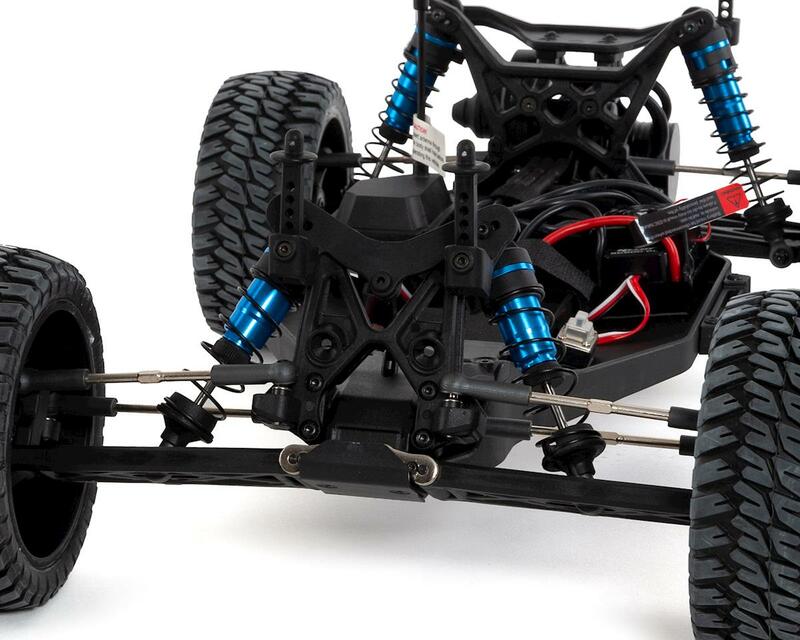 A Reedy metal-gear digital high-torque servo and LED lights front and rear round out the Trophy Rat! This was our first foray into a hobby grade car and it's been great. Drivable right out of the box, but I did buy some shock caps with bleed screws and re-oiled and bled the shocks, significant improvement. The gear mesh is also set too tight. That is a very easy fix. The brake lights pop out sometimes but are easy to pop back in. 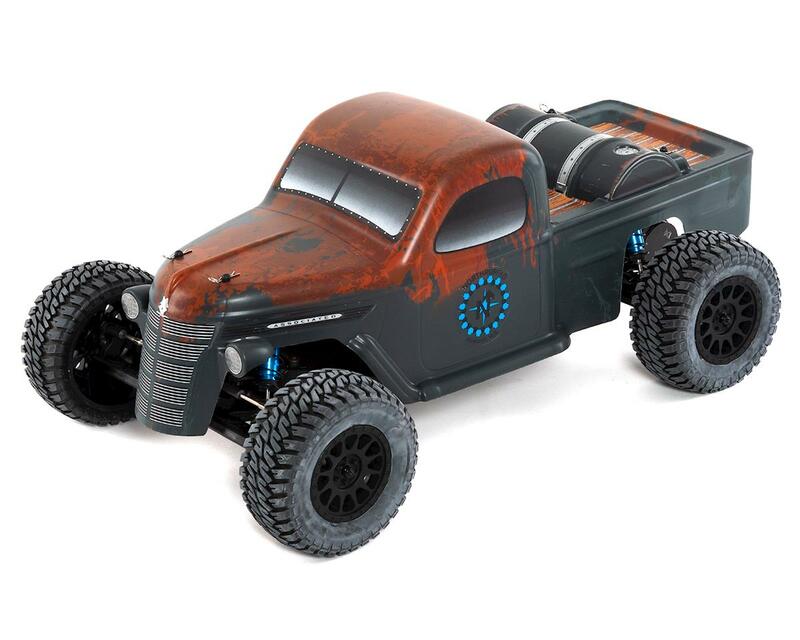 Note that this is the same vehicle as the ProSC10 and the DB10 desert buggy. 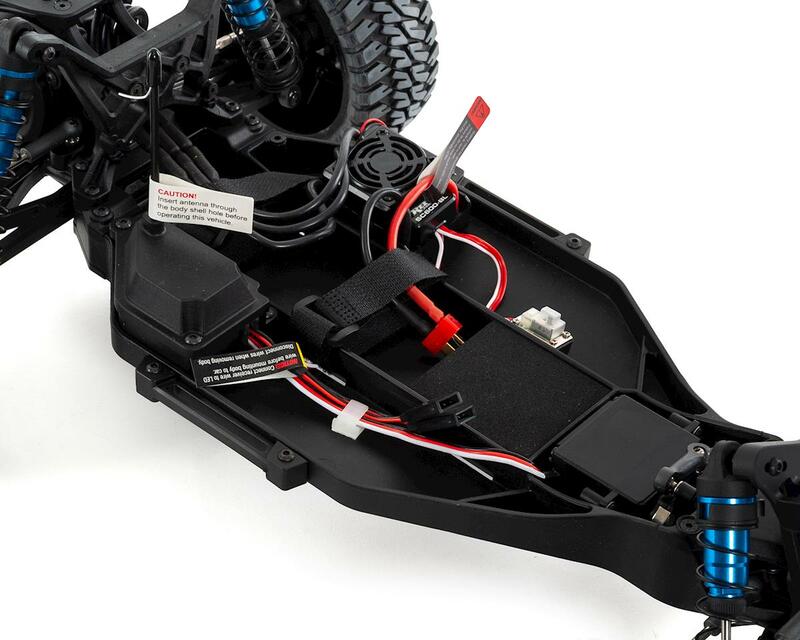 The box comes with a bumper that will only fit if you're using the DB10 or ProSC10 body. With the trophy rat body, you can't use the bumper and that means it's a little more vulnerable than most other cars. IF you are primarily going to be driving on a typical grass lawn, you should look elsewhere. Too low of ground clearance and the 2WD struggles. It's a ton of fun on poor-grass fields, pavement, dirt, etc. It's been very rugged but I did break a suspension arm at 30mph into a curb, but that's not the car's fault. Buy this for the awesome body alone!